Lexi Ryan is a born and raised New York City girl, with alot of snarkiness and tons of honesty, which makes me love her the most. She wasn't exactly outgoing, but at the same time, she wasn't shy about her feelings either.I personally have only been to the circus once in my life. It was when I was younger, about 4th grade, and it wasn't even in...a tent. I never really thought it gave me the full experience, but I wasn't complaining either( I don't get to travel much). However, the circus itself was pretty cool. 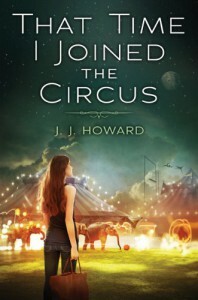 Acrobats, lions, clowns( ugh, everyone hates, including myself), cotton candy... it was amazing, especially when I was only like 9 years old.This book seemed to capture the same energy when I had visited the circus. It was vibrant, exciting, and different. I loved the descriptions in the book about the circus. It made me feel as if I was really there.The secondary characters added depth into the book, and I especially enjoyed each one's different qualities. They made me laugh at intervals and I just ended up falling in love with all of them. They also seemed to change during the book. Some more than others, but there was actual character development...in a contemporary book! 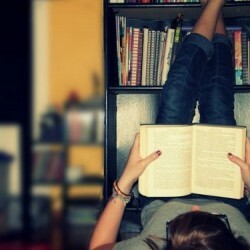 Like I said, it added depth to the book.The problem I had with this book was the romance. She liked, like, 4 different guys in this book, within a 4-5 month period. Hmm....yeah. It really bugged me when she kissed one boy in particular and decided that she didn't like him after all...and pretty much just ditched him. To me, that doesn't sound like a good friend( or girl-friend). And then with another boy, she claimed she loved him after knowing him...for like 3 weeks? So yeah, the romance was my least favorite part in this book. It didn't have any depth to it, and the author just made it sound like a fling, for some of the boys that actually liked Lexi. It just made me feel sorry for some of the boys.Overall, this book wasn't bad, but it definitely had some holes in it. The circus descriptions in it was amazing, and the plot itself was good, just not amazing.